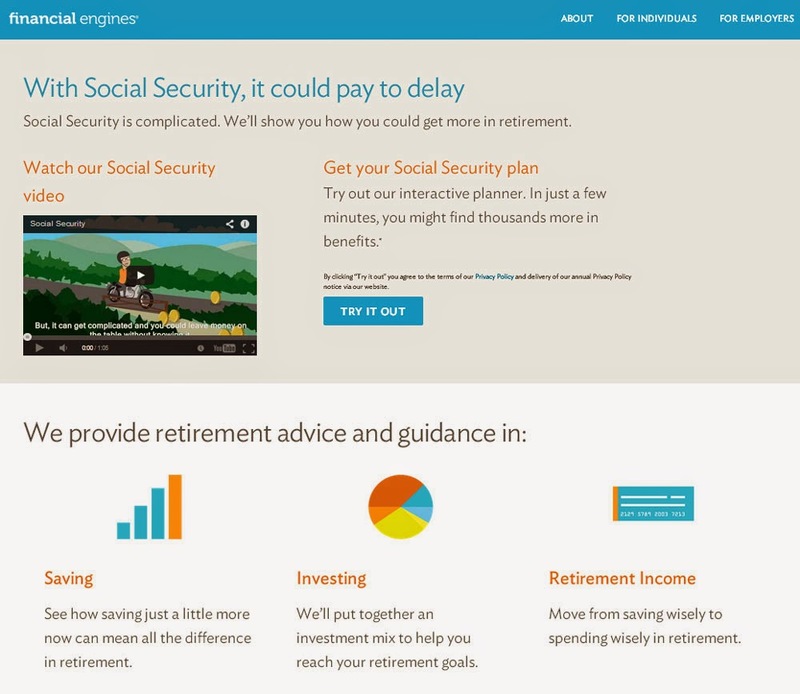 I've been working with Financial Engines for a couple years now and one of the bigger projects has been their Social Security Planner. Typically their products are only available to employees whose employer buys the Financial Engines services. But today they launched a product that's available to anyone at no charge! You don't have to be retirement age - you can use it to forecast what you might get - and you can also send this to your parents or adults you care about who are closer to retirement age than you are. The real intent is to help you figure out how much income you will have in retirement. For most people, delaying Social Security is the smartest thing to do financially. That's because you'll actually get more from Social Security in the long run. There are even more opportunities for people who are married. It's been a year since I've blogged which is a bad testament to a good year! It's been busy with lots of great projects that I have neglected to share and so it's time to catch-up. The first one is a biggie! The Hoover Institution hired WebEnertia to re-do their website. As part of their team (I have worked with them for awhile now - great group), I was responsible for the overall web strategy.